Product code: 2224 Categories: Sold Items, Sold Jewellery. These are a pair of antique earrings set with coral from the Victorian era that are just magnificent to admire and wear. Made in 15ct yellow gold these earrings date from the 1870’s and the design alone is just so typical of the Victorian era of this period and amazing to admire up close. 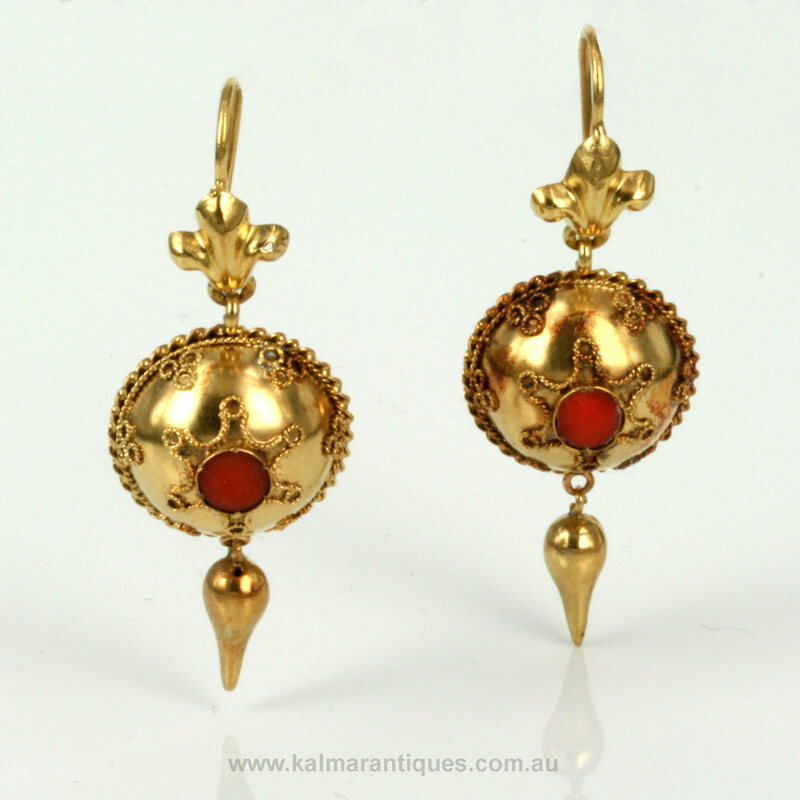 In the centre is a round coral surrounded by the most beautiful detail and suspended from the bottom is a gold finale that dangles so elegantly, and at the top is a fleur-dis-lis design connected to the shepherd hooks. From where the hooks connect to the fleur-dis-lis design to the bottom measures 35mm and at its widest measures 15mm and are the perfect size to wear anytime for any occasion. The coral looks so special against the rich colour of the gold and antique coral jewellery is becoming so hard to find and to get them in earrings of this style is just a true find. 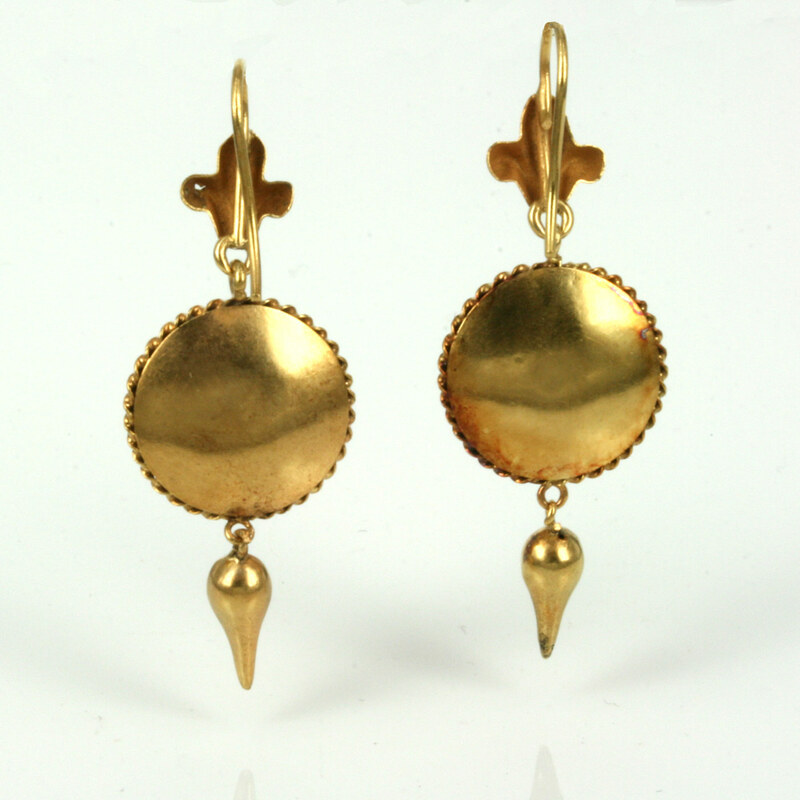 There is something so special about antique earrings and these will certainly be treasured.